From leaking pipes to boiler repairs in London, our City & Guilds accredited plumbers can resolve any problem. Specialist repairs, servicing and boiler installation in London from Gas Safe engineers. Suitable for all models and brands of domestic boiler. Our heating engineers have excellent diagnostic skills when it comes to heating system repairs. Suffering from blocked drains in London? Call out a dedicated and well-equipped team of drainage engineers who specialise in rapid clearing. Our team of electricians are skilled in both fault finding and domestic electrical installations. We operate a 24/7 call out service for all your gas and plumbing emergencies. Our locally based Gas Safe registered plumbers in London can be with you within 60 minutes of receiving your call. On completion of all work rendered we provide a full, no quibble, written guarantee for your complete peace of mind. Unlike other plumbers our phones are always answered and we’re always available! We love hearing what our customers have to say about us. Around 70% of our work comes from returning customers. In the last poll we carried out 86% of our customers said they would recommend us to their friends or family. In most cases we don’t charge by the hour. We propose a fixed price based upon a considered appraisal of the job in hand. In such a way you’ll receive no nasty surprises tacked onto the end of your bill. Simple and fair! Looking for the very best plumbing, electrical and heating service providers in the capital? Homecure Plumbers are the experts for you. Fast. Knowledgeable. Trustworthy. Polite. Professional. 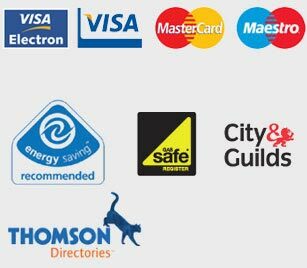 These are all words our customers use to describe our highly-trained and qualified London plumbers. With affordable rates and a firm commitment to world-class workmanship, we have no doubts that we can provide you with a satisfactory service that you’ll be more than happy to recommend. Homecure Plumbers are an experienced team of plumbers, electricians and heating engineers working throughout London. If you’re looking for a reliable plumbing company in London who’ll delivery quality workmanship without charging you the world, then you’ve come to the right place! From booking the initial appointment to the engineer arriving and successfully carrying out the work, you’ll notice that Homecure does our utmost to ensure that your needs are met. At Homecure we offer professional emergency plumbing services across London and the surrounding areas. In addition, we also provide quality central heating installation and maintenance, boiler repairs and drain clearance. Our services cater for homeowners, tenants, landlords and business owners. No matter where you reside in London, no matter what property you live in, Homecure can help you! All work we carry out is fully guaranteed – we’re confident that we offer the highest quality service to our customers. We’ve got a long line of happy customers behind us – the feedback we receive is excellent thanks to the knowledge and experience that our engineers possess. Our boiler repairs and installations offer a lifeline to customers, especially during the cold, winter months. We’ll repair your existing boiler or fit a new one for you, ensuring your property is warm and comfortable – no matter how cold it is outside. What Makes Our London Plumbers Different? We don’t just serve one little pocket of London – we serve the entire city and all the surrounding towns. We also serve the Home Counties. No matter where in the capital you happen to reside you can rest with peace of mind knowing that should something go wrong, we’ll be able to come out and assist you. Our service is a real lifeline for our customers – plumbing faults usually crop up when you least expect them to! We have engineers all over London allowing us to offer a prompt, professional service no matter where in London you live. All our plumbing, electrical and heating engineers are certified by City & Guilds and Gas Safe registered, but that is not what makes Homecure Plumbers unique. We work hard to find not only qualified professionals to join our team, but also those who exhibit skills that take them above and beyond traditional standards. Our focus is on critical thinking. Homecure Plumbers prides itself on offering services that are complete with detailed problem-solving, expert fault diagnosis and efficient task completion. It’s all part of our commitment to providing the best and most cost-effective solutions. Call Homecure Plumbers now on 0800 002 9991 for free (0203 504 4000 for mobiles) to discuss your London plumber, electrical or heating needs with our industry-leading experts.